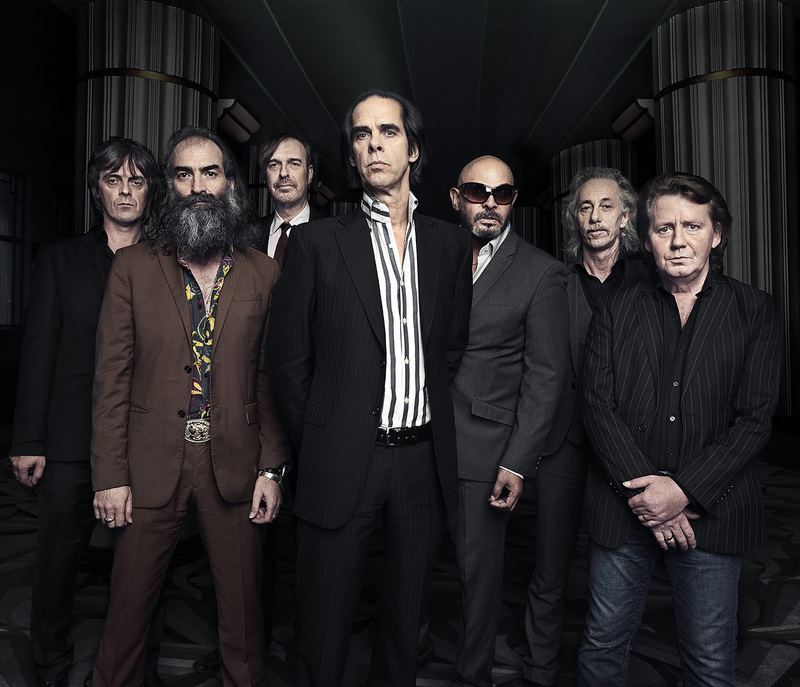 Nick Cave & the Bad Seeds were near the top of those for my stab at an ICA but they were also one of the first to be offered up by a guest contributor, courtesy of The Robster back in May 2015. Click here for a reminder. However, I think there’s now enough time passed since to come up with a second volume on the proviso that I don’t include any of the ten actual songs selected by The Robster (and there’s a few that would have been certainties!!). It also acts an introduction to what, over the coming weeks, will be a run of ICAs that have been submitted by guest contributors, new and old alike, that I haven’t had the capacity to pull together into the standard shape and style or do the really time-consuming bit which is get the files into a shape and form that you can listen to via the links. There’s some great stuff coming your way, but for now, back to Nick Cave….and the different thing I’ve done this time is match the tracks on this ICA with their position on the album on which they were released. This means that I’ve also looked at everything as a CD as the albums had different numbers of songs. Thus, having gone for Track 1 from a particular album, then no other opening song was eligible. It also ruled out b-sides….. Despite such restrictions, it still makes for a cracking listen. This was included within the 45 45s at 45 rundown but it wasn’t a stick-on to open up the ICA. Indeed, this was an instance when Robster’s choices prevented me going for my real preference but then again I’d probably have fretted about not including what is one of the best examples of the Bad Seeds being such a great foil for Nick’s incredible brand of lyrics. There have been few, if any, better examples of a band that have been consistently brilliant in the live setting for what is now over 30 years. Every tour offers something different, whether that be an altered line-up from last time out, the use of additional backing singers or a well-known and much-loved song being given a completely new interpretation (The Mercy Seat in particular has experienced this over time) and as such a Bad Seeds show is never dull or predictable. There’s been four live releases in addition to the fifteen studio albums. This frantic and chaotic rendition of an infamously raucous number on 1988’s Tender Prey appears on the first of the live releases. From the album that took everyone by surprise thanks to its minimalist approach and heavy reliance on the piano. It’s the album when Nick Cave began to feature very heavily in the UK broadsheets as he finally had made an album that middle-aged people could listen to without any fear or dread. It’s his album of love and regret and at times his vocal delivery is as fragile as his mood was during its recording. I know why so many folk love it and rate it among his best but at best I’m only able to listen to it right through about every 2-3 years nowadays. It’s just too sad and morose in places. The selected track is as sad and morose as any of them but has a certain transcending charm that indeed led to it being included for a sad moment in a family movie – Shrek 2 – as well as being beautifully covered by Lloyd Cole. There was a five year gap between Push The Sky Away and its predecessor during which time Mick Harvey, who was widely regarded as having long been at the forefront of the actual sound of the band, had taken his leave. The Bad Seeds had always been an evolving and interchangeable group of musicians but Mick Harvey had always seemed the perfect foil for the mercurial frontman, although there had been increasing signs through the Grinderman side project, the soundtrack work and the changes in sounds on the albums of the 21st century that Warren Ellis was now key to everything. Long-time fans were nervous about the first non-Harvey album but such fears were unfounded as it proved to be outstanding and with a staggering range of subject matters. This slow tempo number with its surreal and imaginative lyric is the centrepiece of the album. And it’s the first of two cheats on this ICA – it was part of The Robster’s selection but he went for a live version which sort of opens the door for me to include the studio version. One of the most popular and enduring tracks in the entire back catalogue. And thanks to its extensive use in movie and TV, probably among the best-known Nick Cave songs. Not only a lyric which is psychotically disturbing and humorous in equal measures, it’s a tune that brings out the multiple talents of its players. Nick Cave has never been shy to take a stab at cover versions and indeed in 1986 he released an entire album’s worth. Let’s put aside the fact that, (a) there was a bit of a contractual obligation for a new record at the time and the singer’s addiction issues were causing problems in coming up with new material, and (b) some of the versions on Kicking Against The Pricks border on the unlistenable, and rejoice in the crazy fucked up take on The Folk Singer, co-written by the C&W legends that are Johnny Cash and Charlie Daniels. This is my second and final sleight of hand. The track that opens The Boatman’s Call is also the seventh song on the 1998 compilation of which initial copies came with a live CD. It’s very much a classic love song and I’m surprised that nobody has ever attempted to give it the full band/orchestra treatment via a cover version. Surprised but glad as it’s the very simplicity of piano, bass and heartfelt but understated vocal that make it so memorable and special. Interesting to read that Nick Cave, while appreciating the visual beauty of the video that was made to accompany its release as a single thought the depressing and sad shots are at odds with the optimism at the heart of the song. Along with Red Right Hand, a perennial favourite when aired live, which it has been on just about every tour since it originally appeared on Murder Ballads in 1996. This particular version is all that more special thanks to the contribution of soul/gospel backing vocals and the addition of a new verse in which the protagonist, having been executed for his crimes, finds himself on judgement day where he faces up to Lucifer himself. The end result is bloody, violent and, given Stag’s history, somewhat predictable. Sing-a-long with St Nick. Yeah, Yeah, Yeah. Some say this is a macho and wholly misogynist number but they’re wrong. Given the personal tragedy that Nick Cave and his family have had to deal with over the past two years, I had thought he may at some point announced his retirement from writing and performing; if so, this double live album, recorded at a concert for a Los Angeles radio station, would have been a fine and somehow appropriate way to quietly take leave; but it does seem as if new material is coming our way later in 2016. The album displays a rarely seen side to the Bad Seeds in the live setting with the emphasis on slower songs, which are given a different arrangement from when first released. As is the case with this track from 2001’s No More Shall We Part. What is really worth noting is that four of the five musicians who made this wonderfully understated LP were the members of Grinderman, the side project which is better known for grimy and sweaty material rather than this sort of ballad. It’s a demonstration of the diverse talent required if you want to be a Bad Seed. Oh and the fifth musician is none other than Barry Adamson – he first came to prominence as the bassist with Magazine before linking up with the Bad Seeds and playing on their first four albums. He left in 1986 and carved out a successful solo career, particularly as a score composer. But it’s really the case that nobody ever leaves the Bad Seeds and he came back in 2013 to play on Push The Sky Away and to be part of the touring band but this time on keyboards which is the role he plays on the KCRW album, which was very impressively recorded live in one take. Just as about all the Bad Seed albums tend to open with show stoppers, so they inevitably end with songs that make you want to either turn the vinyl over or push the CD back to Track 1. I’ve extended this ICA out by one more tune as this is one of my personal favourite LP closers – it’s an epic tale that extends out to almost eight minutes in length over a tune which is eminently danceable, although an edited version was later cut for release as a 7” vinyl single. The band are, as ever in fine form here, also adding the perfect level of backing vocals on this occasion, as Nick chirps away quite contentedly about past loves and muses, real and imaginary alike, in a way that is diametrically opposite that from the songs on The Boatman’s Call. There’s not many occasions when the word ‘delightful’ can be applied to a Nick Cave song. Indeed, this may be the only genuine time when you can. And it seems a perfect way with which to close this ICA. A cracking comp JC, and it compliments not only my IC, but also my current Saturday series ‘The Genius Of Nick Cave’ *plug, plug*. I re-read my original post and still agree with everything on it, but even with your fine effort, there’s still room for a volume 3, 4 and 5 with no dip in quality. A ridiculously strong comp considering it’s essentially a Volume 2, but, as therobster rightly says, there is still plenty of scope for further volumes. Thoroughly enjoyed this one. Two NC&TBS ICAs and neither of you chose ‘Straight To You’?!?! Outrageous behaviour!